One of the things that I missed when I started using my DSLR was the portability factor. I was envious of people with point-and-shoot cameras because it was so light and it could fit in their small bags or purses. Of course, I would rationalize and eventually say that the quality of the photos are way way better if I’d use an SLR compared to a point-and-shoot. But I swear, there are times that I wish I have a nice point-and-shoot so that I don’t have to sacrifice quality. Here comes the Panasonic Lumix LX3 . I got this about 3 weeks ago and it has brought me back to the fun days of the point-and-shoot – being able to just snap a photo wherever you are without the weight of an SLR. great for low light: it has an f2.0 Leica lens and it really works great in low light! 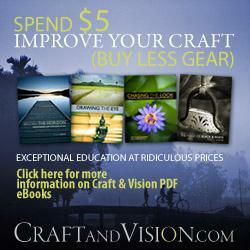 You should see it to believe it! macro focus: you can stick the camera as close to the subject, and it will still focus! old-school pop-up flash: remember the old times when the flash is hidden and it pops-out of the camera? This is exactly what’s in here! The good thing about this is (unlike canon point-and-shoot), it doesn’t turn on the flash automatically when you shoot in low light. I’ll post some of my photos taken with the LX3 soon but for now, I’d like to share with you some of the accessories I have for the LX3. The original Panasonic accessories are a bit too steep for me, but I’m glad to find some 3rd party add-ons that work well with the LX3. I got the whole set below for around $50, compared to around $170 to the Panasonic set . 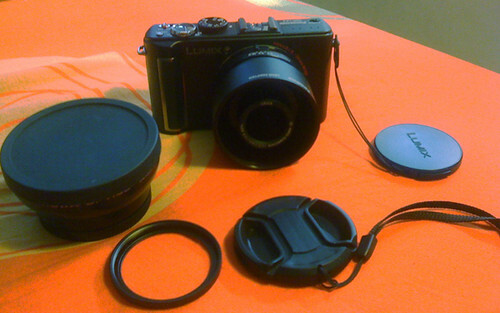 In the photos below, you will see the wide angle lens attached to the LX3. 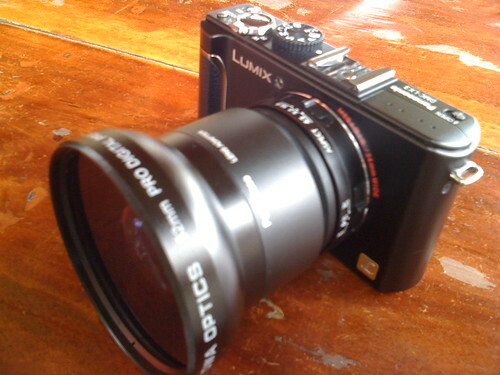 With the attached wide angle lens + adapter, the LX3 looks like a mini-SLR. It has caught some attention when I brought it to Boracay the other day! People are wondering what kind of camera this is! 🙂 I think it’s a good thing! Hahaha! Anyway, I have not tried the original wide angle lens of Panasonic but I’ve heard from people that they behave the same as the 3rd party that I have (ROWA Optics). The only benefit for having the 3rd party one is the compatibility with the generic filters for SLR cameras. The lens adapter is 52mm in diameter while the wide angle is 67mm. The original Panasonic one is 46mm, not usually found in camera shops. What are you waiting for? Go and buy one! You can get one at amazon.com for around $400 . Almost a week before Christmas, Adobe has given us their Christmas present to us Lightroom Addicts — Lightroom 2.2! Lightroom 2.2 has some added enhancements in the Camera Profiles section. The big thing though in this release is the support for new cameras like the Canon 5D Mark II and the Panasonic Lumix LX3! Now, I don’t have to convert my LX3 raw shots via DNG converter. I can import them directly into Lightroom. For more details on the release, check out Tom Hogarty’s entry on the full release of Lightroom 2.2. When I got my Lumix LX3 , one of the things that I liked about it is that it could shoot in Raw. The bad thing — at that time, Adobe doesn’t have support for the LX3 Raw format. The good thing is, they announced Camera Raw 5.2 last week and LX3 is now supported! However, since Lightroom 2.2 is not yet out (it should be due soon), you can’t just directly import the LX3 Raw photos into Lightroom because Lightroom 2.1 won’t recognize them. The interface is very intuitive – first, you point it to the location of your Raw photos. Next, you select a target folder, third, determine the file name (I left it to default), and lastly, pick the compression preferences. I just left mine to the default settings (medium size jpeg). I also did not change the filename because I knew that I can easily do this inside Lightroom. Click the Convert button and wait for it to go through your files. You now end up with a folder that has all the DNG files. Open Lightroom 2.1 and then import your DNG files. In my settings (see below), I made sure to pick ‘Move images to Lightroom folder’ since I didn’t want to keep duplicate DNG files. That’s it! You can now edit your LX3 Raw photos inside Lightroom! Note, when Lightroom 2.2 is out, you no longer have to do this workaround. If you want to find out what DNG is, read more of it from Adobe’s DNG section.